Lemax One LED Light String provides a single mains powered single light cord accessory to give illumination to any Lemax building within your miniature village seasonal display. Light cord allows illumination to reach and light up inside a Lemax building within any Lemax village scene, breathing life into your display when the lights are off. The light string contain 1 LED light unit powered by a self contained battery pack supplied with a long length of mains cord, allowing wires to be hidden from sight behind your display. Designed with easy thumb grip clips to allow firm placement within the pre-moulded lighting hole at the reverse of Lemax buildings. 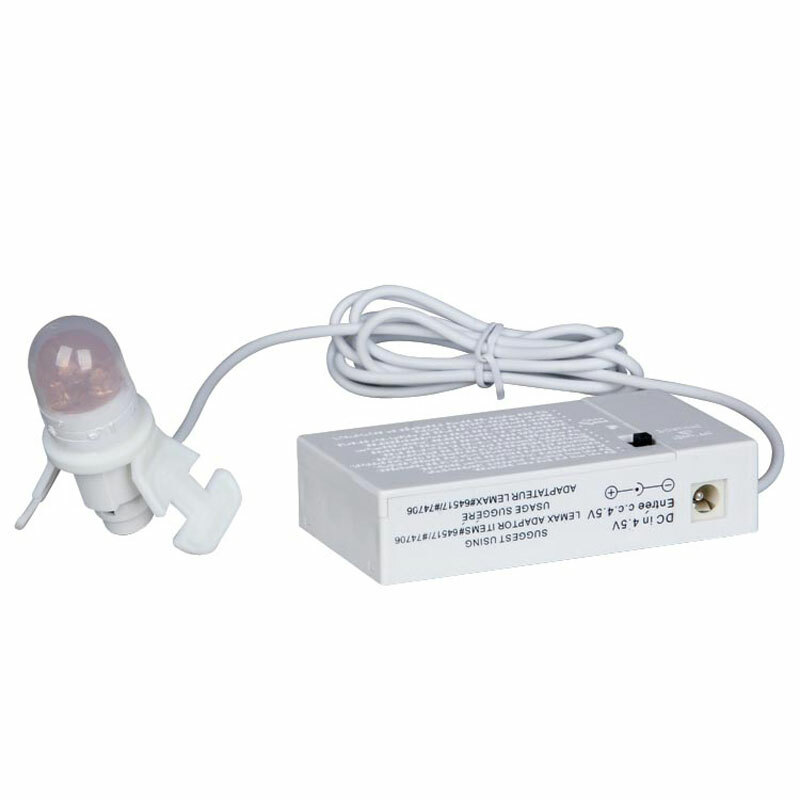 Unit is fitted with an ON/OFF switch and mains adaptable using a Lemax female power adaptor (#64517).